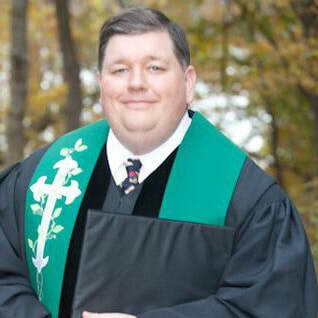 Rev Jerrod Hugenot serves as Associate Executive Minister. He joined the Region staff in 2013 after several years with pastoral work in Kansas and Vermont. Rev Hugenot assists congregations with pastoral transition needs, providing support for churches seeking resources for ministry and mission and other ways of supporting the work of ABCNYS and its local churches. He resides in Albany, NY, with his spouse Kerry Shermer. They maintain a peaceable(?!?) kingdom of three cats (Biblia, Codex and Paige) and a beagle mix pup (Fable). Board member of American Baptist Churches/USA General Board, Board of National Ministries, Board of Educational Ministries, and Committee on Christian Unity, ABC/Central Region, and ABC/Vermont New Hampshire Region. Frequent contributor to Baptist journals and e-publications.